There have been times when we’ve wanted nothing more than to master the ability to send across a scented SMS. Well, not really. That doesn’t stop us from gushing on about this fantastic new concept we’ve spotted recently, which could soon be on every iPhone user’s wishlist. Called the oPhone, this concept device was built by Harvard University & Wyss Institute scientists David Edwards and Rachel Field. The device generates complex aroma signals in rapid succession without lingering aromatic clouds and enables the sending of aromatic messages. 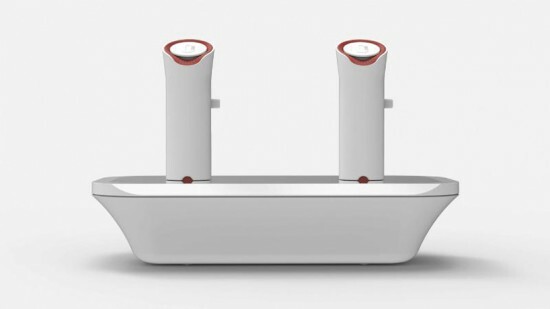 The device will launch sometime this month by Vapor Communications and is the world’s first scent-based mobile messaging platform for iPhone users. Users will be able to tag photographs with more than 300,000 unique scents using the company’s oSnap iPhone application. Finally, we’ll be sending across pictures of bacon that smell like bacon!